My son is 12 (not large); he wears size 12; I bought the XL size and he was able to put 2 sweatshirts underneath to stay warm. He wore it with gray sweats & looked great. 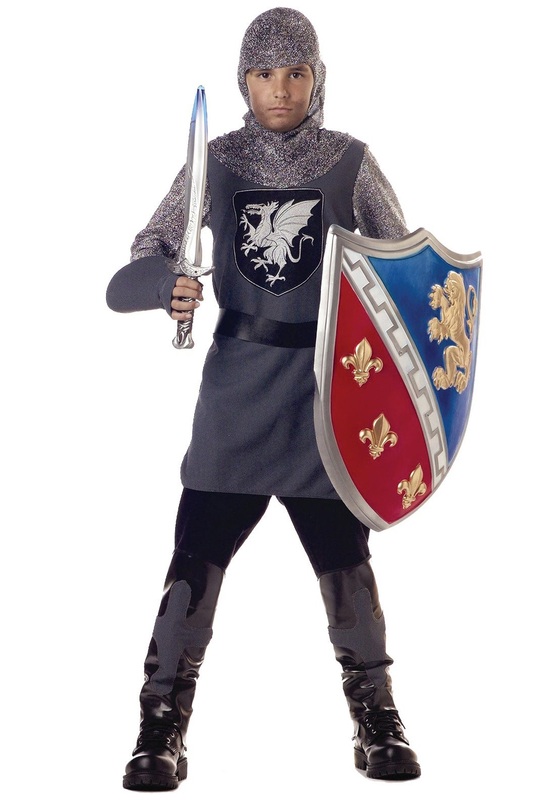 I also added the shield and sword to complete the costume. This is made well & is a great costume... very happy with purchase. This was perfect for the part. We asked the actor to bring in pants and a shirt to wear underneath and the costume was able to make him look like an authentic knight. It is a costume that can be used again and I especially like the hooded piece. I think it is a very good price and fit the part perfectly.